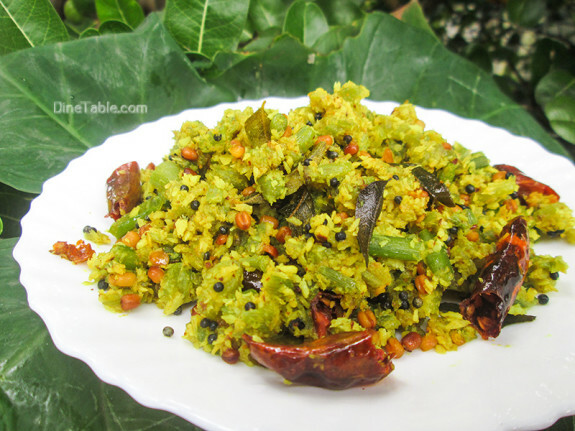 Chembin Thal Thoran Recipe / ചേമ്പിൻ താൾ തോരൻ / Taro Stem Stir Fry Recipe is a traditional Kerala side dish recipe. 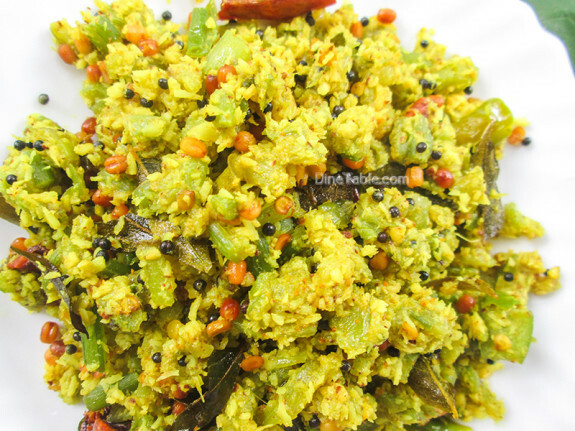 Serve this tasty and delicious Chembin Thal Thoran for this Onam. It is indeed a healthy dish. I got this recipe from my mother. 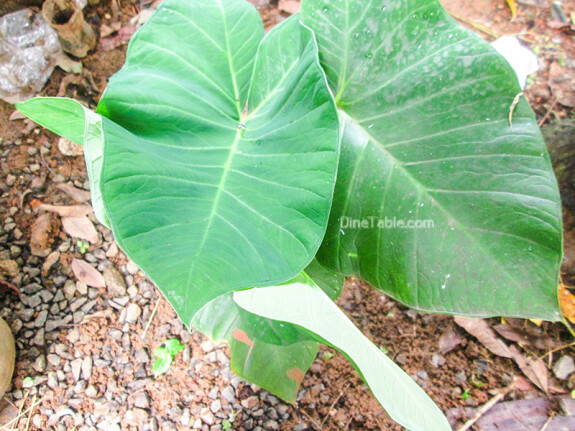 I think most of us doesn’t known about the usefulness of taro root plant of which every parts are edible. The health benefits of taro include its ability to improve digestion, lower blood sugar levels, prevent certain types of cancers, protect the skin, boost vision health, increase circulation, decrease blood pressure, aid the immune system and prevent heart disease and also improves muscle and nerve health. 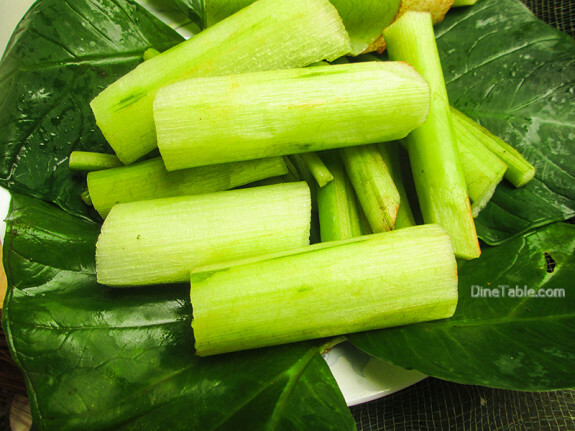 Click here for other healthy Thoran / Stir Fry Recipes..
Cut the Chembin Thaal (ചേമ്പിൻ താൾ / Taro Stem) lengthwise and peel off the outer skin. Clean it well and chop the stem into small pieces. Add salt to it and squeeze out the thick serum and keep it aside. Coarsely grind the grated coconut with green chillies, shallots, turmeric powder with a mixer grinder. 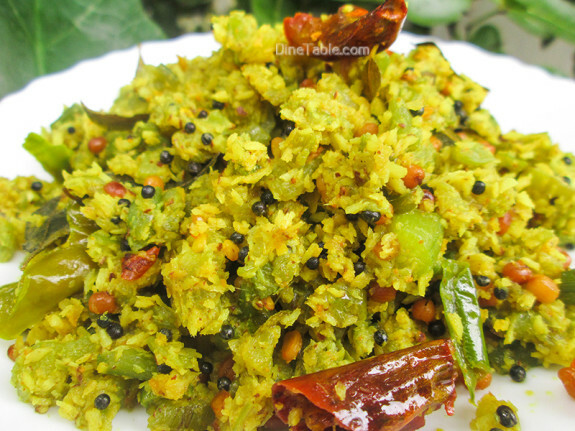 Heat 4 tsp of coconut oil in a pan, add mustard seeds, urad dal, dry red chilies and curry leaves. 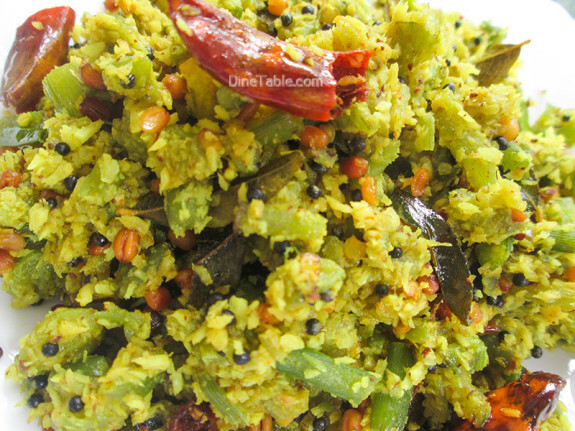 Once the mustard seeds start to splutter, add the chopped chembin thaal and salt. Stir well for 3 minutes. Cover with a lid and cook for 4 minutes. After 4 minutes, add the coconut mix to this and mix well. Cover and cook this on a low flame for 3 minutes. Open the lid and stir well till it dry. Switch off the flame. Tasty Chembin Thal Thoran is ready.